First time home buyers may qualify for down payment, and/or closing cost help. As a real estate agent, I have dealt with many first time home buyers, affectionately known in the industry as ‘first timers’. If you have never purchased a home, it is highly likely that you have questions, possibly many questions. It is also highly likely that at least some of the answers to your questions to this point have been inaccurate, or even blatantly false. There is a lot of misinformation out there. I am here to clear the air. To set things straight. To give you the unvarnished truth regarding the first time home buying process. So, I suggest that you forget what you have heard so far, unless it was from another real estate professional, and pay close attention. As a first timer, you are in an enviable position. There are programs out there designed specifically to help first timers buy homes. There are also programs that can help anyone buy homes, that are particularly useful to first timers due to their common lack of funds, or monies to be used for expenses related to their first home purchase. Some cash, or liquid assets are always needed to buy a home. The single biggest misconception or false hood that I have heard from first timers is the amount of money or ready cash that is needed to buy a home. I have talked to numerous people that think there is very little, if any money, or cash needed to buy a property. Seriously, some think it is like buying a pizza, as far as amount of money needed. Here is the deal. There is money normally needed for a down payment for a mortgage or home loan. There is money needed for closing costs. There is money needed for home repairs, furnishings, moving expenses, inspections, utility turn ons, and the list can go on. So, your first consideration when buying a home, in addition to qualifying for a loan, is to have enough cash set aside to make the purchase possible. How much cash? Depends on the type of loan you are able to qualify for, whether you can get down payment assistance, and the price of the home that you are buying. Now, as I mentioned earlier, you may be able to get some assistance with your down payment, and with closing costs, but you may not. So, even a best case scenario, you will need some cash to buy a home. A good rule of thumb is to have 12%-15% of the price of the home in liquid, or ready cash. For example, on a $100,000 home, you will need around $12,000 – $15,000 in available funds. You should line up some cash before you go through the time, and trouble to attempt to qualify for a loan. Lender requirements for first time home buyers. As far as qualifying for a home loan, there are certain requirements that mortgage companies, and loan companies will need to have to preapprove you. and qualify you for a loan. They want to see that you have been on your job for the last 2 years, at least. It is ok to have more than one job, but you need to show that it is in the same industry, and you can’t have a large time gap between jobs. You can’t have any bankruptcies, or repossessions within the last 3 years. You have to have at least a 620 credit rating. Loan companies use the 3 main credit reporting companies, and they take the middle score of these 3. The 3 credit reporting agencies are Equifax, Trans Union, and Experian. Realistically, you need to have a middle score of 640 or better to receive serious consideration from the loan companies. Zero debt won’t help, but too much debt will hurt your credit standing. They also use a debt to income ratio, based on the amount of debt you have, and your current income. If you have no debt, you probably won’t qualify. Unfortunately, the reality is you have to show you don’t need a loan in order to qualify for one. If you don’t have any debt, your best bet is to try to get a credit card or two, or a department store card, and purchase some items, and pay them back on time. This will begin to show up on your credit report within a short time, and show that you have credit established. Without some credit to show, the loan companies won’t give you a second look. You can try to use a relative or a friend to help you get a loan. This is not an ideal situation, but if you can get a cosigner, or have someone effectively buy the home for you, and take back the note, or hold the paper, you may be able to buy the home from this person down the road, as your credit improves. In the meantime you can make payments to your friend or relative, and have a nice house to live in. Once you establish yourself, you can begin to build equity in a home of your own. Your income will determine the amount of your loan. The amount of income you have will determine the price of a home that you can qualify for. Generally speaking, you will qualify for 3 1/2 times your income. For instance, if you make $30,000 a year, you will likely qualify for $90,000 to $120,000 worth of house. This is not a hard and fast rule, but one that will give you an idea of what you can have. If you qualify for a loan, there are advantages, and disadvantages with the different loans. Perhaps the best loan is an FHA, or Federal Housing Administration loan. FHA requires only 3 1/2 percent as a down payment, and you also may be able to get most or all of your closing costs paid for. FHA is the lending arm of HUD, the department of Housing and Urban Development. If you decide to buy a HUD foreclosure home, for instance, you can get up to 3% of the price of the home paid for in closing costs. So, for a $100,000 home, you can get up to $3000 in closing costs paid for by HUD. Your closing costs normally range from $1500-$8000 range. This will depend on the price of the home you want to buy, and if you pay cash, or if you use a loan for the purchase. For a $100,000 home, your closing costs would likely be in the $1500-$4000 range. For more information on HUD/FHA homes, go here. USDA offers zero down, 100% loans. Another good loan to try to obtain for first time home buyers, is the USDA, or the United States Department of Agriculture loan. This loan, if you qualify, will enable you to use the entire amount of the home purchase as your loan. In other words, no down payment is required. There are still closing costs that will need to be paid, and other related fees, but no down payment is needed. The bad news, is that your monthly payments will be higher because you didn’t reduce the total loan amount by the amount of the down payment. But, of course, if you are cash poor, which most first time home buyers are, it can be a God send to have zero down. Most USDA qualified homes are outside of cities in the US. If you are someone that works or plans to work in a decent size, or big city, the USDA would probably not be a good fit for you. If, however, you prefer, or need to be out away from the cities, this could work well for you. For more information on USDA, go here. There are many progams available that can assist first time home buyers with down paymens, and/or closing costs. For instance, in the state of Missouri, there is the First Place Loan Program, MHDC, the Cash Assistance Payment Program, and the Non Cash Assistance Program, among others. I strongly suggest that you find lenders in your area, and ask them what down payment, closing cost, and other assitance programs are available to first time home buyers. You can also ask them if, based on your situation, you can qualify for a loan. Take advantage of this assistance, as it is only possible once. 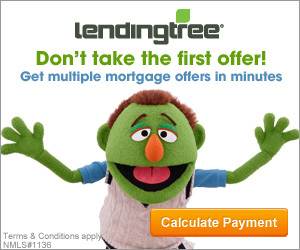 Try to get preapproved for a loan first. If you are successful, you will have an amount that you are preapproved for. Once you have your preapproval, and you know the amount, you can start looking for homes that you would like to purchase. Realtors make home buying easier. You should then contact a Realtor in your area. Most Realtors will not show homes to clients, or potential clients that are not preapproved for a loan. A Realtor will make finding a home an easy, and enjoyable experience. You can even ask a Realtor to recommend a lender for you. A good real estate agent will bring you all of the homes that are for sale that meet or exceed your desires. This is based on your price range, the type of homes you like, and the areas that you would like to live in. The best news is, your real estate agent’s commissions are paid by the seller. This means you have their valuable professional services at no cost to you. Most Realtors work closely with one or two lenders, and can get this process going for you. He or she will help you pick a title insurance company, who will help you with the title search, and title insurance. Realtors can also recommend home inspectors, who will inspect your home once you have an accepted contract. Don’t worry, you won’t need the fees from this until closing, as they are part of your closing costs. Once you find the home you want to buy, it normally takes anywhere from 1 1/2 to 2 months to close, and move in to your new home. So, buying a home is relatively easy if you enlist the help of good lenders, and real estate agents. Of course, you must have some cash set aside also to make buying a home a realistic opportunity. The sooner you can buy a home, the better. Buying a home allows you to build equity in your home, build yourcredit, write off the loan interest on your taxes, and gives you all the other benefits of owning a home which are many. First time home buyers are in a good position right now. I strongly suggest you take advantage of it. Experience the joys of home ownership! My advice to you is, be an owner, not a loaner. Thanks for this very in-depth post about first time buying a house. I just want to share what I learnt from Robert Kiyosaki. And that is don’t purchase a liability unless you’re purchasing it using your asset. If you’re buying a house for you to live, it’s a liability. You should fund the cost using other assets of yours if not you’re just getting involved in a rat race. What an amazing article I really I want to own my own house I am currently saving for a deposit, you words will help me a lot down the road thanks again.